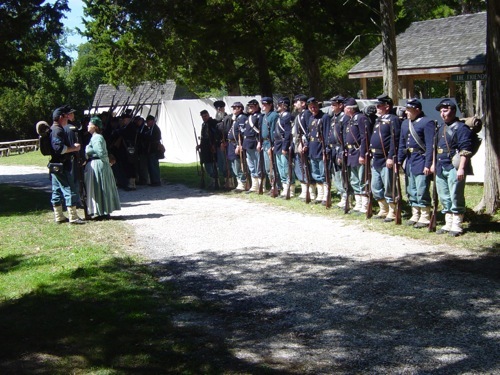 Historic Cold Springs Village is just minutes outside the city of Cape May. It is a wonderful asset to the community with activities throughout the year. In September there is a Revolutionary War encampment on Labor Day Weekend. See Revolutionary period aficionados dressed in period costume. There is a period tent competition so you can see how soldier slept back then. September 11-12 fast forward to the Civil War. 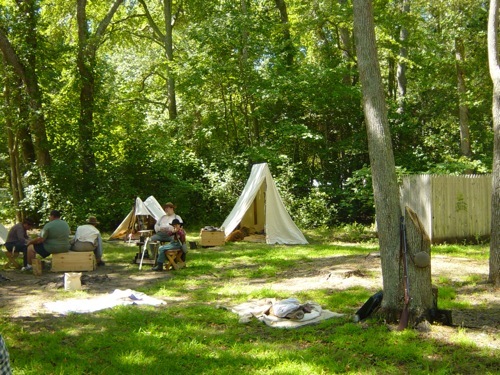 See how soldiers of the Civil War period dressed and slept. Here at The Bacchus Inn Bed & Breakfast we are fortunate to have guest who participate in the reenactments. They repeated talk about how much fun it is for the participants and spectators. It keeps him coming back to Cape May year after year. This entry was posted on Friday, September 3rd, 2010 at 7:36 pm	and is filed under events. You can follow any responses to this entry through the RSS 2.0 feed. Both comments and pings are currently closed. To help you make your trip a special one, please let us know your coming by making a reservation! Click here to make reservations! We have put together a few specials to help you out with your special getaway! Check the calendar to see if the room you would like is available, and then let us know! If you have any questions or would like more information, please contact us at 609-884-2129 or 866-844-2129, email us, or use our online request form. Copyright © 2012 The Bacchus Inn Bed & Breakfast. Website Hosting by InsideOut Solutions. Designed by AppNet.com. Photography by VinePod.com.